Latest Updated On 05.03.2019 : SSC Will Soon Release the CHSL Exam 2018-19 Answer key on its official website, Candidates Who Appeared in the SSC CSHL Exam….. Download the Official answer key Through The Link Given Below……. Staff Selection Commission (SSC) is going to conduct a written examination for Lower Divisional Clerk (LDC)/Junior Secretariat Assistant, Data Entry Operator (DEO), Postal/ Sorting Assistant and Court Clerks post through Combined Higher Secondary Level Exam 2018-19. Many interested & eligible Candidates apply for these Jobs. More Details are as Follows about the Recruitment. candidates had applied from 05.03.2019 To 05.04.2019. Tier 1 Online Exam was Conducted Successfully on the Prescribed Examination Date 01.07.2019 to 26.07.2019. The Tier 1 Objective Written Exam was of total 200 Marks with the time Duration of 01 Hour (60 Minutes). After Conducted the Tier 1 Exam the Tier II Descriptive Exam Will be Conducted. Answer Keys for the above said SSC LDC & DEO 2018 Exam will be available for Download on the Official website of SSC (http://ssc.nic.in) Candidates are advised to keep in touch with SSC website for Latest Updates. All Latest Updates Regarding SSC CHSL Answer Keys will be available on our website (www.jobriya.in). Book mark our website & get latest News about SSC 10+2 Exam. Answer Keys, in due course after the Computer Based Examination, will be placed on the website of the Commission (https://ssc.nic.in).Any representation regarding answer keys received within the time limit fixed by the Commission at the time of uploading of the answer keys, will be scrutinized and the decision of the Commission in this regard will be final. No representation regarding Answer keys shall be entertained, afterwards. More Important SSC upload SSC CHSL Answer Key for fix duration of time so take that thing in mind. Candidates can send their Objections if they feel any Answer Provided by SSC is wrong. Objection Period is very short. Candidates have to submit Objection with valid proof before given time. Under a Notification, SSC has decided to charge Fee of Rs. 100/- per Question. Candidates will be able to check SSC CHSL Answer Key & evaluate their Performance in the exam. Candidates be in touch with the Official website of SSC regarding the SSC CHSL Answer Key, Result & other related Updates. To Get Latest Updates about SSC 10+2 2018 Exam check our Job Portal (www.jobriya.in) where you can get all Government Jobs Recruitment News & Latest Updates about Exams. Candidates can share their Views & Query through Comment Box given below. Our Expert Panel will make a full attempt to assist you. LATEST UPDATE dated 10.04.2019 :- UPSSSC Will Soon Declare the Result of Stenographer & Personal Assistant Exam. Candidate Stay Connected With us for More Updates…. Uttar Pradesh Subordinate Services Selection Commission (UPSSSC) had invited applications to fill up 352 posts of Stenographer in various department under UP Government. UPSSSC will conduct a written test for the completion of this recruitment. 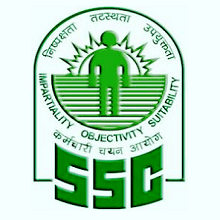 Uttar Pradesh Subordinate Services Selection Commission eminently known as UPSSSC, has conducted a Written Examination for Recruitment of Stenographer Post on 10 March 2019 at Lucknow. 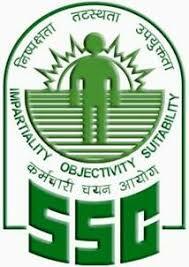 UPSSSC had conduct this exam for selection to 352 posts of Stenographers & Personal Assistant in various Departments. Candidates who qualified in the Written Exam, will be called for Stenography Test, Candidates will be called for Interview then. Written Test was conducted for the Post of Stenographer in 12 Departments for 352 posts. There were 80 questions in the exam comprising of Total 40 Marks. There were No Negative Marking in this Exam. We are providing you Result Information for UPSSSC Stenographer Exam. All the Candidates gave there 100% in the exam and Now they are waiting for there Exam Result. So all the Candidates have Some Patience and be in touch with the Official Website of UPSSSC Stenographer to get the Latest alert and Information about the Result. As this is a Exam of 12th Level, Many of you may be Ignorant about How to Check Chakbandi Lekhpal Result 2019. Just Follow these Simple Steps…. Open UPSSSC website in your Web Browser, It will take you to Home Page. On Home Page, Find Section Important News & Alert. In that Section You can find Link for Result of Advt. No. 27/Exam-2016 of Stenographer Exam (आशुलिपिक (सा0च0) प्रतियोगितात्मक परीक्षा-2016(।।)). There will be a File in Pdf Format. You can Download it Check your Final result. Selection Process : Selection will be done as follows………. Candidates have to attain minimum cut off marks for qualify for Typing/ Skill Test & Interview. Keep in touch with us for more updates about Result. Candidates can bookmark (www.jobriya.in) us by Pressing Ctrl+D and then they will get all the latest information about any Exam, Result and Other related Information about UPSSSC Stenographer Result. Candidates can leave their comments/ query in the comment box. Any query related to this post will be welcomed & Our panel will try to solve your query. Vacancies will be determined in due course. Updated vacancy position will be uploaded on the website of the Commission from time to time (https://ssc.nic.in->Candidate’sCorner-> Tentative Vacancy). Age limit for the posts is 18-27 years. (i.e. Candidates born not before 02-08-1992 and not later than 01-08-2001). Details About the Age Relaxation is Provided on the Below Detailed Advertisement. Lower Division Clerk (LDC)/Junior Secretariat Assistant (JSA): Pay Band -1 (Rs. 5200-20200), Grade Pay: Rs. 1900 (pre-revised). Fee payable: Rs 100/- (Rs. one hundred only). Women candidates and candidates belonging to Scheduled Castes(SC), Scheduled Tribes(ST), Persons with Disabilities(PwD) and Ex-servicemen (ESM) eligible for reservation are exempted from payment of fee. Fee can be paid online through BHIM UPI, Net Banking, by using Visa, Mastercard, Maestro, RuPay Credit or Debit cards or in SBI Branches by generating SBI Challan. Online fee can be paid by the candidates up to 07-04-2019 (5.00 PM). However, candidates who wish to make the cash payment through challan of SBI, may make the payment in cash at the Branches of SBI within the working hours of bank up to 09-04-2019 provided the challan has been generated by them before 07-04-2019 (5.00 PM). A candidate must carefully indicate the centre in the Application Form in respect of the Examination. LATEST UPDATE dated 11.03.2019 : UPSSSC has uploaded Answer Key for Stenographer & Personal Assistant Exam held on 10.03.2019. Candidates can Download Answer Key & Send Objections through the link available below……. Written Exam consist of Total 40 Marks. Questions asked from General Hindi, General Intelligence test & General Knowledge. Exam conduct in various sets namely A, B, C D. So Answer Key is now available for All Sets & question papers. NOTE : Answer Keys will be available on UPSSSC website upto 19 March 2019. Candidates who have Objections Regarding Answer Key for Stenographer & Personal Assistant, can send their Objections via Speed Post or in Personal. Last Date for Sending Objections is 19 March 2019.